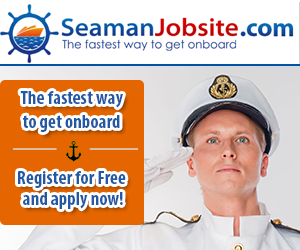 Merchant Navy after Diploma in Mechanical Engineering, Click here. 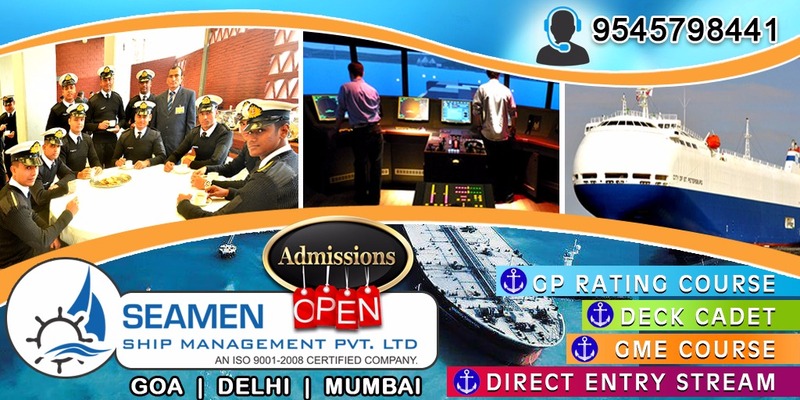 Merchant Navy 2019 Entrance Exam, Click here. Merchant Navy 2019 TOP Colleges, Click here. 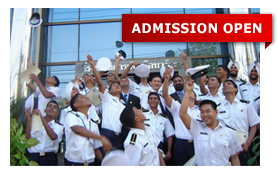 Merchant Navy INDIAN CDC Courses, Click here. "ADMISSIONS OPEN FOR GRADUATE MARINE ENGINEERING (GME) APRIL/OCTOBER, 2019 BATCH"
The Maximum age limit for an admission to the One Year GME course is 28 years. 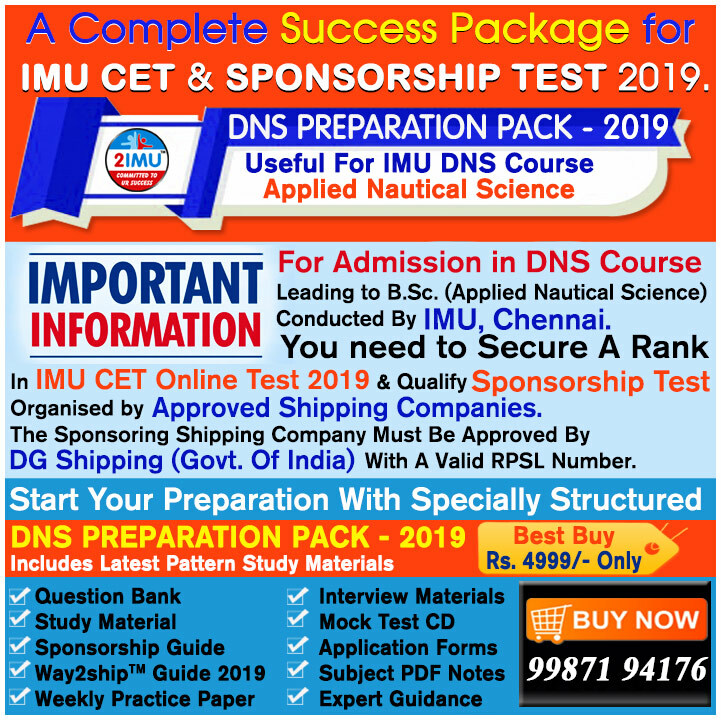 IMU-CET Online Application form for Jan-2019 batch,Click here. IMU-CET Entrance Exam Syllabus,Click here. IMU-CET Application form Last date,More. Graduate Marine Engineering (GME) 2019 - The one year Presea Training course for Graduates (GME) is a course leading to Class IV Marine Engineer Officer Certificate of competency.The Graduate Marine Engineering (GME) 2019 course provides mechanical engineering graduates an opportunity to take up one year course and enter merchant navy by becoming a marine engineer. Graduate Marine Engineering (GME) Course in India - Top Graduate Marine Engineering (GME) in INDIA. Graduate Marine Engineering (GME) 2019 - The one year Presea Training course for Graduates (GME) is a course leading to Class IV Marine Engineer Officer Certificate of competency.The Graduate Marine Engineering (GME) 2018 course provides mechanical engineering graduates an opportunity to take up one year course and enter merchant navy by becoming a marine engineer.Graduate Marine Engineering (GME) Course in India - Top Graduate Marine Engineering (GME) in INDIA. GME means Graduate Marine Engineering and a candidate who completes GME is known as a graduate marine engineer. In simple terms this course is the minimum requirement for a candidate completing B.E (Mechanical) to join as a Engineering officer in the Merchant Navy. This is a one year conversion course for Mechanical Engineering / Naval Architecture graduates to become Marine Engineers and is approved by Directorate General of Shipping, Ministry of Shipping, Govt. of India. After successfully completing the TAR Book competency examinations held at , the candidate will be eligible to obtain exemption for PART A of MEO Class IV competency certificate and join ship as a fifth engineer. Medical Fitness - Candidates should be healthy and physically fit for sea service. Candidates will have to undergo a full medical check up through our Panel Doctor approved by D.G.S hipping. For majority, sea is just a large body of salt water expanded to horizon. But for a mariner, sea is a world of wonders and amusements. It is his world and sometimes his paradise. A fifth engineer will be under the seniors and will have to carry out maintenance related work on-board. There will be minimum sleep and one has to be active at all times. This field demands moderate knowledge and very high observational skills. These traits are imparted to the trainees during their training as a Fifth engineer. It might take few months to get adjusted to the life at sea and to the challenges of this profession, but once adjusted this will be the best decision of your life. GME sponsorship basically means a job guarantee given by an approved shipping company. The basic qualification for GME is B.E/B.Tech in Mechanical Engineering. It is important to consider the types of ships that you would like to train/work on before you start applying to companies.Graduate Marine Engineering is like a post graduation in Marine Engineering, it is a 1 year course consisting of theory and practicals. If these four rounds are cleared then a candidate will be given a sponsorship letter for pursuing GME course. Future Prospects: The ship’s engineers have complete responsibility of the ship’s engine room i.e., the main engine, boilers, pumps, hydraulic fuel systems the ship’s electrical generating plant and distribution system. From the trainee engineering officer level, one will be promoted to Chief Engineer of the ship with proper sea-experience and further exams. IMI is one of the best marine engineering Institute in India situated at Greater noida.IMI justifiably takes pride in its excellent reputation for quality training. Equipped with the latest shipboard working instrumentation, maritime teaching systems and a marine workshop, the institute maintains a close liaison with the maritime industry for better placement opportunity. IMI graded A1 'Outstanding' by Indian Register of Shipping.IMI Institute, conducting whole range of Pre-Sea, Post-Sea Courses approved by DG Shipping under the Ministry of Shipping has A1 Grading from the Indian Register of Shipping. A1 Grading from the Indian Registrar of Shipping is the highest certification being granted by Shipping to maritime training institutes in the country as per stringent norms laid out by the DG Shipping. Age: Not more than 28 years at the time of commencement of the course. Graduate in B.E. (Mechanical) Engineering / Naval Architecture with minimum marks of 50% in final year and should have obtained 50% marks in English at 10th or 12th Standard or in the Degree / Diploma course conducted by the Board or any University. NOTE: CANDIDATES WHO ARE WAITING FOR RESULT CAN ALSO APPLY. Soon after receive of application, Eligible candidates will be shortlisted and Call letters will be sent. Shortlisted candidates have to appear for Written/Online Test, Personal Interview & Also undergo for Medical Test in D. G Shipping Approved diagnostics centre (as per Government rule) appointed by the company. 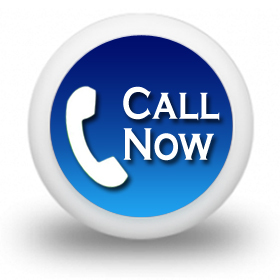 Exact Venue & Date for Selection Test/Interview/Medical Test will be mailed to candidate after receive of application. 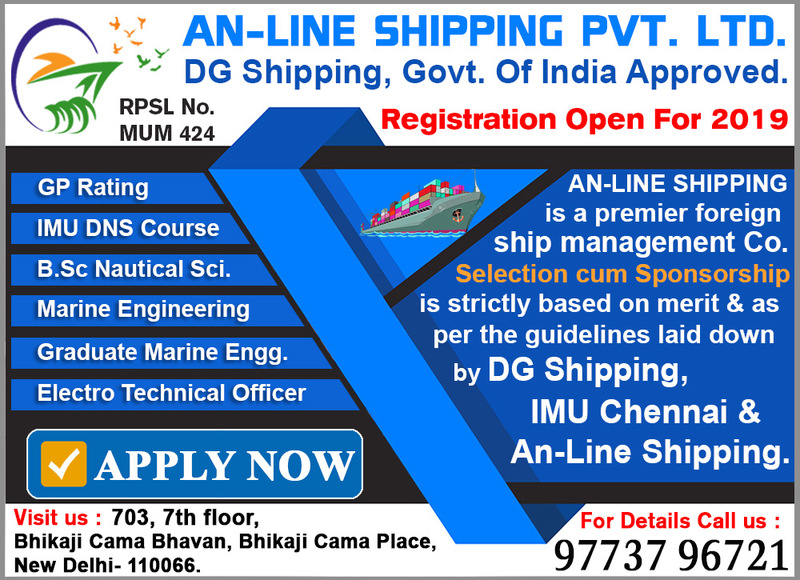 Selected candidates will be admitted in DG Shipping, Govt. Of India approved college. After successful completion of 1 Year GME course & getting Indian CDC candidate will be absorbed by the sponsoring Company as Engine-Cadet / Trainee Marine Engineer. Note: Exam Locations can change according to situation. The centre of examination once allotted to the candidate shall not be changed under any circumstances. While every effort will be made to allot a centre in the Test City opted by the candidate, the company reserves its right to allot a centre other than that of the candidate's choice. 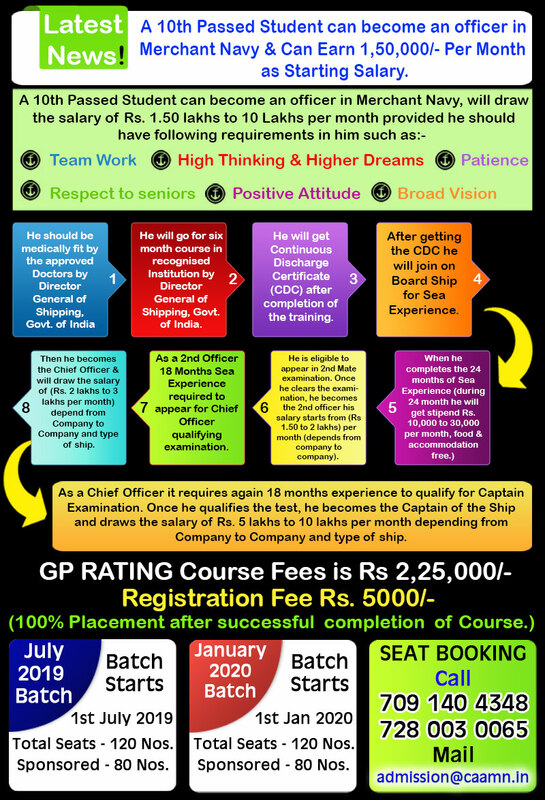 GME Course offering Institutes(D.G Approved).